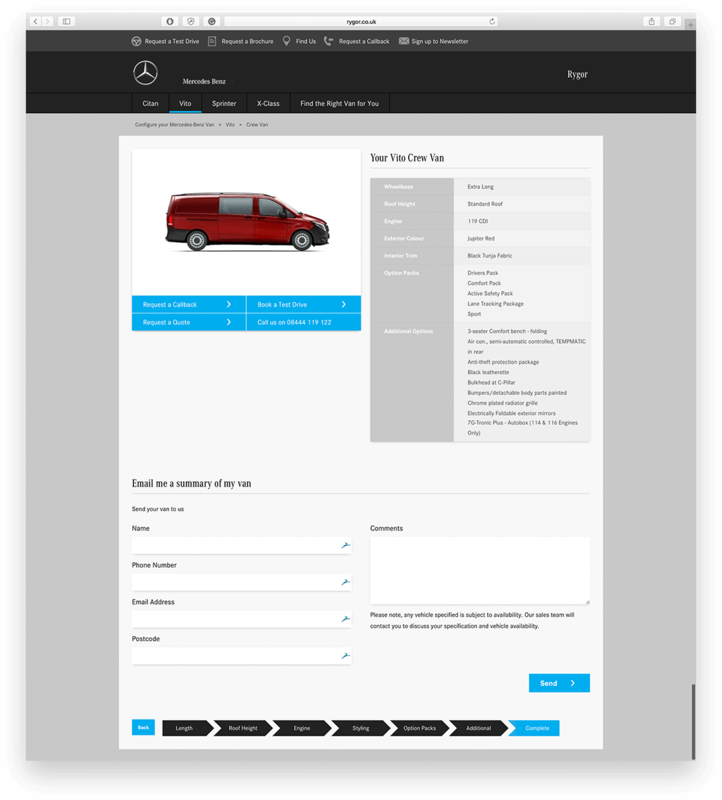 Mercedes-Benz Rygor came to us for help with improving their website for clients wanting custom van design. 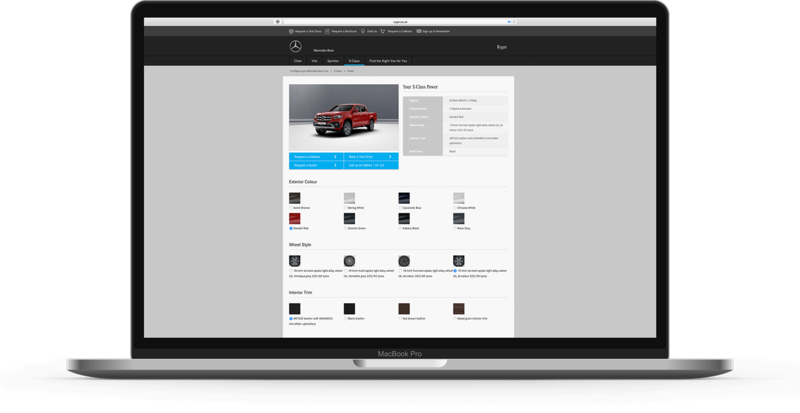 Whilst their site performed well overall, there was no functionality to see the configure different options for custom vehicles in a clear and concise manner. This limited their enquiries, and conversion rate was not reaching its full potential. 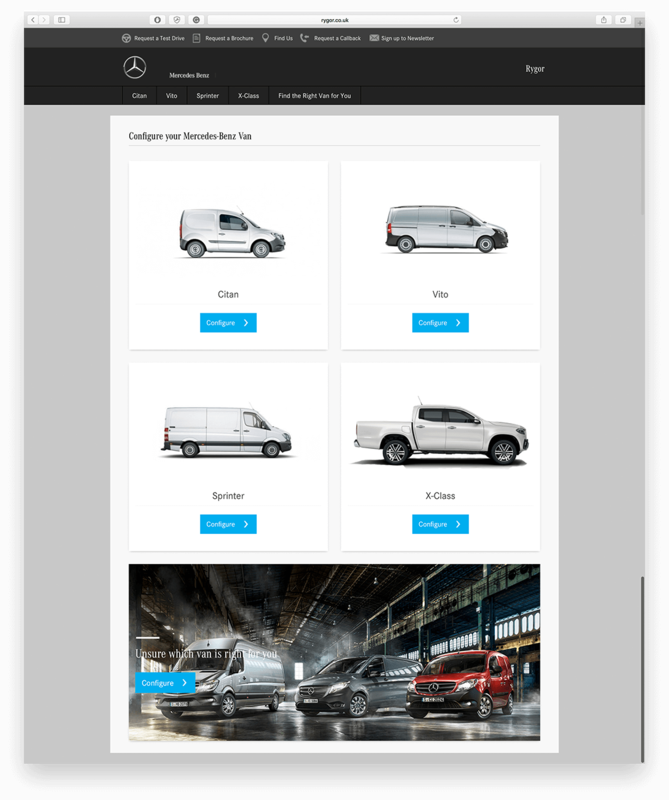 We provided a solution to their problem with a custom van configurator; a fully functioning van customising tool to allow users to build their own van online. 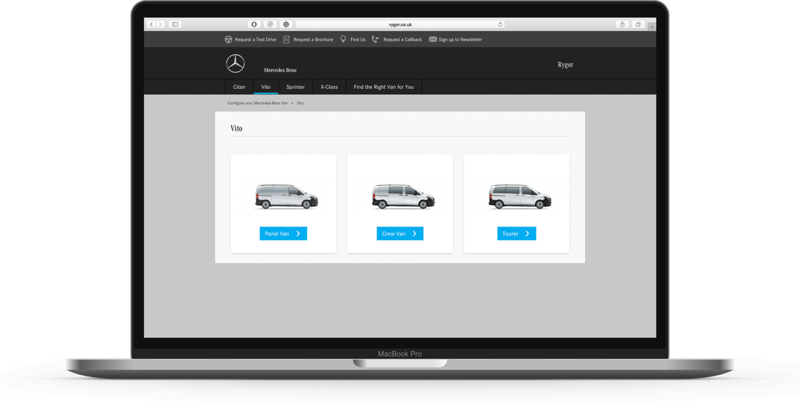 The new van configurator features a choice of models and has the ability to edit everything from van length, roof height, engine size, interior and exterior styling to optional extras such as air conditioning and alloy wheels. Putting potential customers in the driving seat when it comes to the details of their fleet. 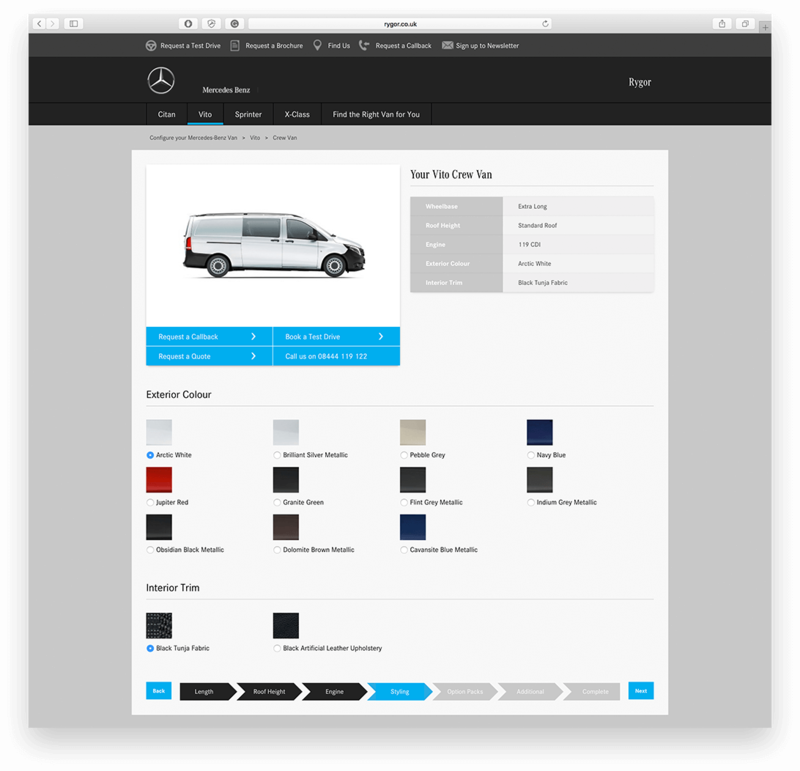 Throughout the design and development process, it was our aim to make the van configurator easy to use and simple to understand as soon as the user landed on the webpage, with clear call to actions at every stage. To do this, we used clean yet effective imagery and included instantly recognisable call to action buttons for enquiries, call back requests and test drive bookings. 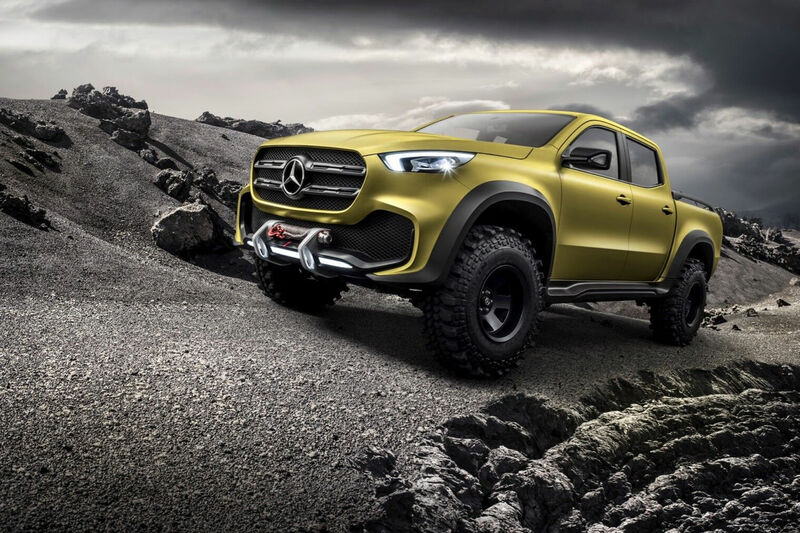 Rygor is the largest dedicated dealer group for Mercedes-Benz commercial vehicles in the UK, and has been a Mercedes-Benz service agent since 1986. The business has branches across the Berkshire, Gloucestershire, Oxfordshire, Somerset, West London, Wiltshire and Worcestershire areas.